Tide laundry detergent developed a handy way to wash your clothes. Instead of measuring detergent, you simply toss in a prepackaged detergent pod. For some reason, some person decided to video themselves eating one of these soap pods and put it on social media, daring others to "accept the challenge." What happened next was predictable. Eating Tide laundry pods became "a thing," causing doctors and poison control officials to warn of the dangers. 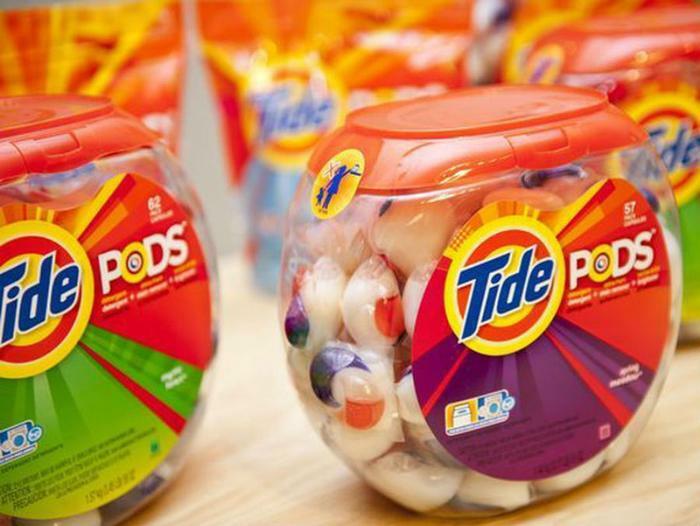 Mike Adams, who is lab science director at the Consumer Wellness Center and author of the popular science book "Food Forensics," says the public -- parents especially -- need to be aware of what's in the laundry pods. "Many of these chemicals pose very real risks to human health as well as aquatic ecosystems," Adams said. Tide’s warning label on the product advises consumers to "call your local Poison Control Center or doctor immediately" if the product is swallowed. "Concentrated detergent pacs can burst if children put them in their mouths or play with them," the warning label reads. "The liquid inside is harmful if put in mouth, swallowed or in eyes. KEEP PACS OUT OF REACH OF CHILDREN." "Given the toxicity of this product when ingested, many consumers are now wondering whether it's safe to wear those same chemicals on their skin," said Adams. "An even bigger question is what happens downstream when these chemicals are rinsed out of clothing and flushed away." Proctor and Gamble CEO David Taylor, whose company makes Tide, says he can't understand why people are eating his product and he's not sure what to do about it. "Ensuring the safety of the people who use our products is fundamental to everything we do at P&G," Taylor said in a January 22 blog post. "However, even the most stringent standards and protocols, labels, and warnings can't prevent intentional abuse fueled by poor judgment and the desire for popularity."